I met Ani over the phone. We talked a bit about the weather and then she asked if I was up for a hiking session on Payette Lake. Heck, yes I said! 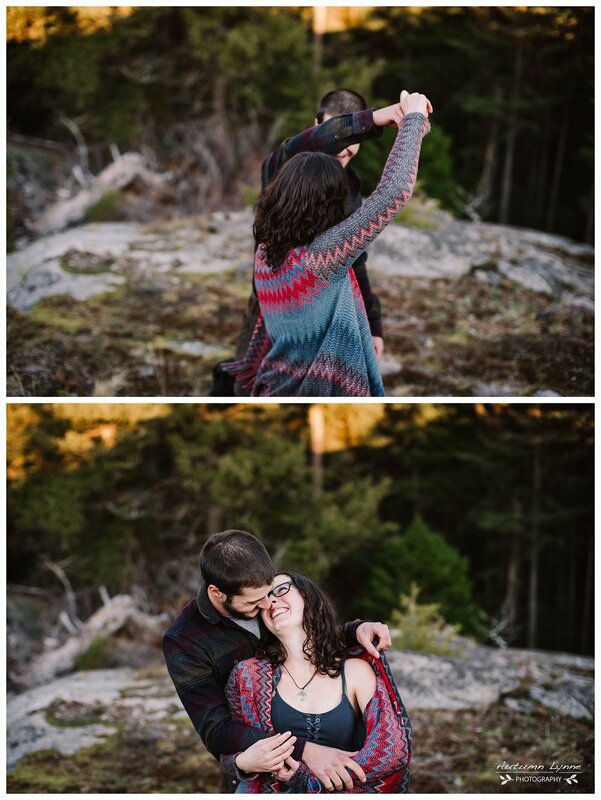 Keith and Ani were married in September and received a couples session with me as a gift from a friend. 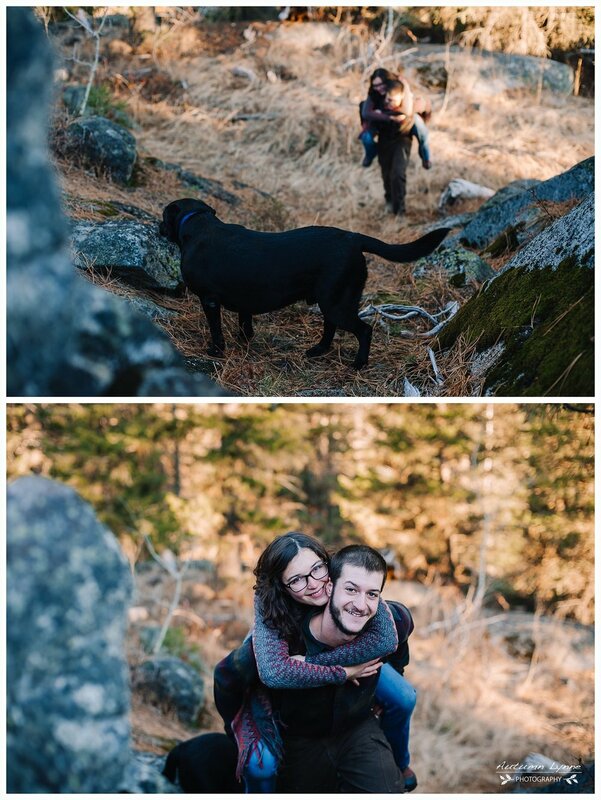 This was the perfect way to celebrate their first few months of marriage and I was so excited to plan and photograph an adventure session with them. 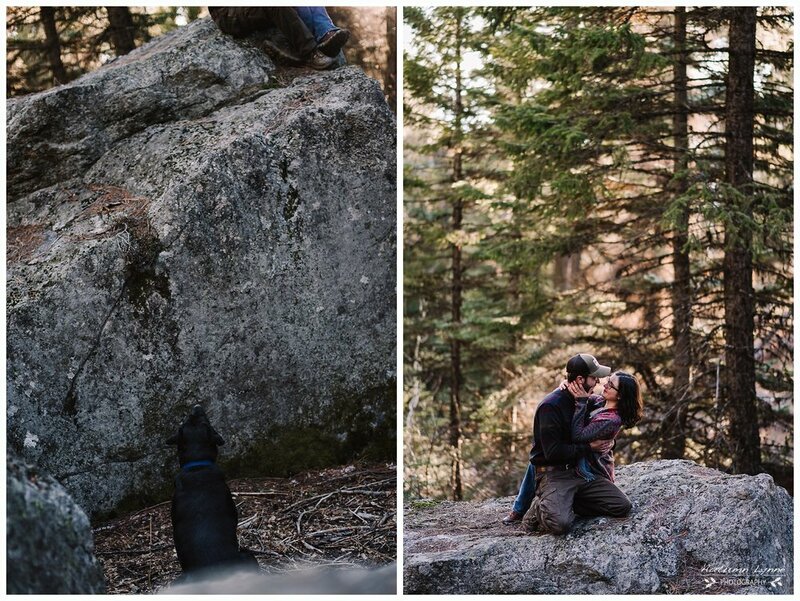 There is nothing more fun then getting out with couples that share a passion for the outdoors. Keith and Ani had a top secrete location they wanted to use. This place had been a part of their relationship from the very beginning and I was instructed to not spoil the secrete. Session day dawned cold and clear. It was 25 degrees but the hike up the granite hillside kept us warm. 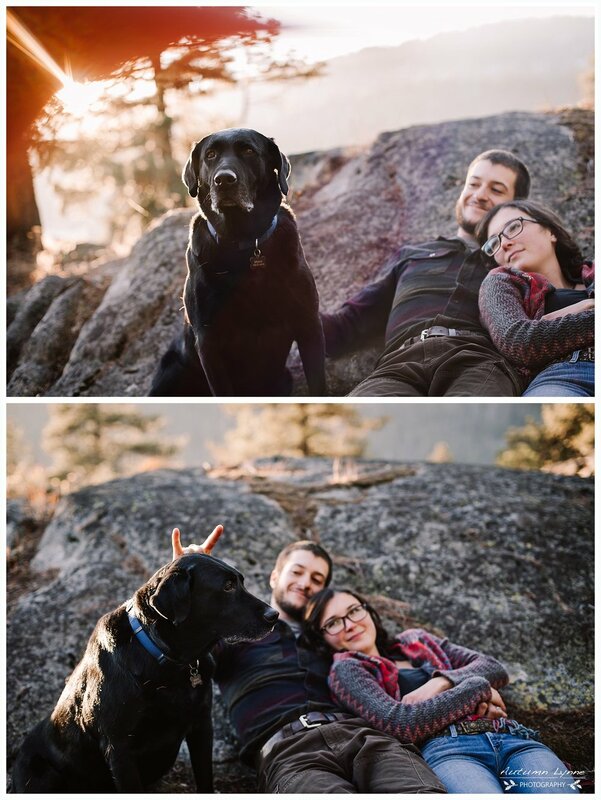 We when reached the top it was still too sunny to photograph out in the open, so we hid in the trees and rocks and took a few fun pictures with their ever present pup Flea. He is one of the most devoted dogs I have ever met! He didn’t let Keith and Ani out of his sight once in the two hours we spent hiking and taking pictures. When the sun was lower we headed out onto the granite rocks overlooking the lake. When you live in a basin sunset doesn’t last for long. We had about 10 minutes to take take a few pictures with the lake in the background and then we hit the trail to get back to a warm car. 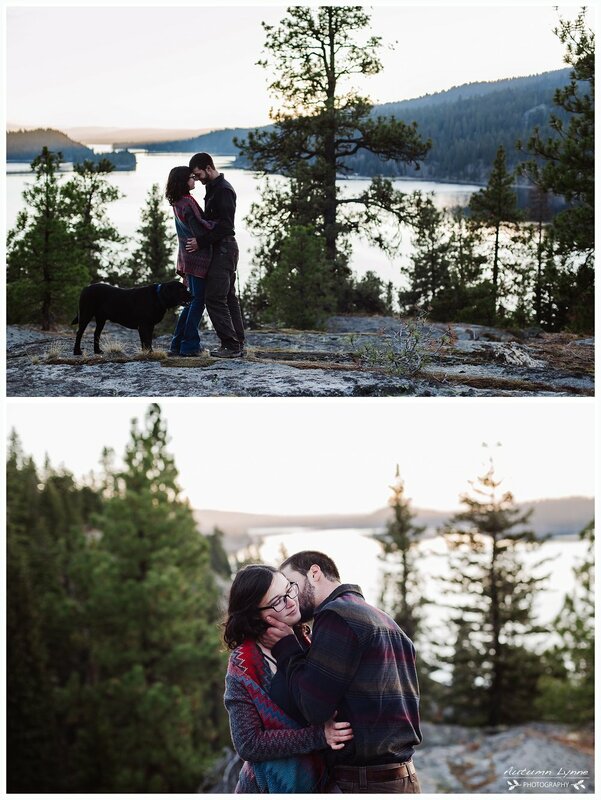 Below are a few of my favorites from this adventure session on Payette Lake outside of McCall, Idaho. Keith made Ani’s wedding band out of an old silver dollar. Amazing!